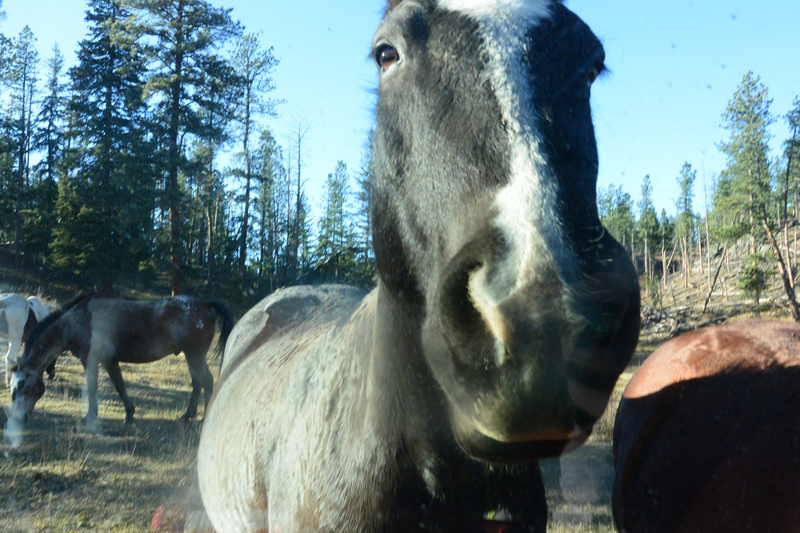 I’m in the Black Hills staying at my friend’s guest ranch just outside of Hill City. 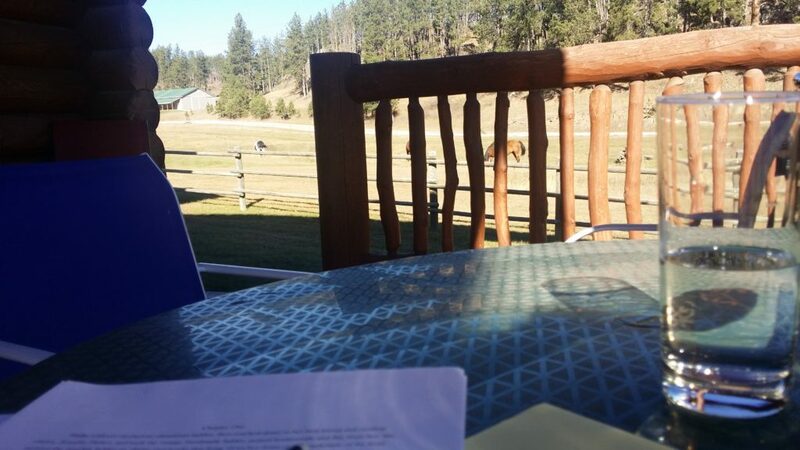 Barbara Majchrzak and I have each looked forward to this time set apart to do some serious writing at a cabin at the guest ranch she and her husband own. I first met Barbara 14 years ago at the Minnesota Christian Writers Guild, a wonderful organization for fellow writers in the Twin Cities area. We became friends and through the years have become each other’s cheerleaders as we each pursue our writing endeavors. Barb’s plan is get as close to finishing her next novel as she can. My plan is to outline a novel idea. In 2013, Barb and her husband, John, sold their Lakeville, Minnesota home and stepped into a dream to live out west. 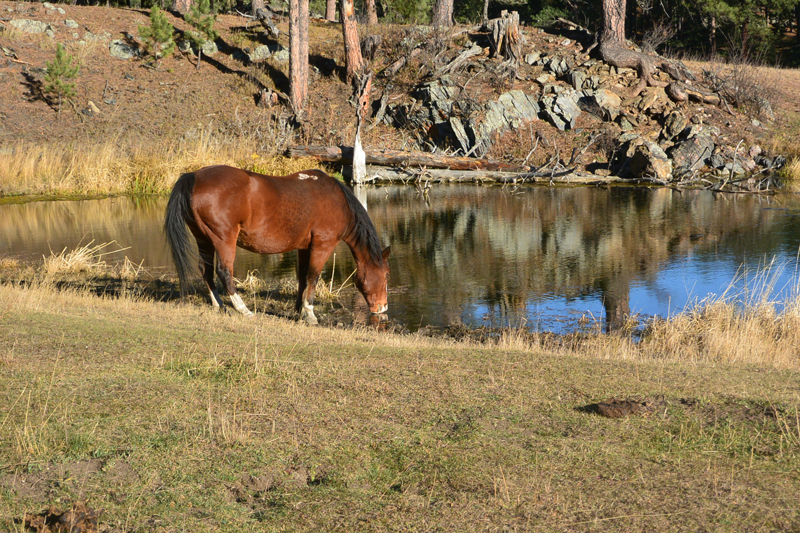 They run High Country Guest Ranch, just outside the town of Hill City, offering so many things for both individuals and families to do that you just need to visit their website to read about it. 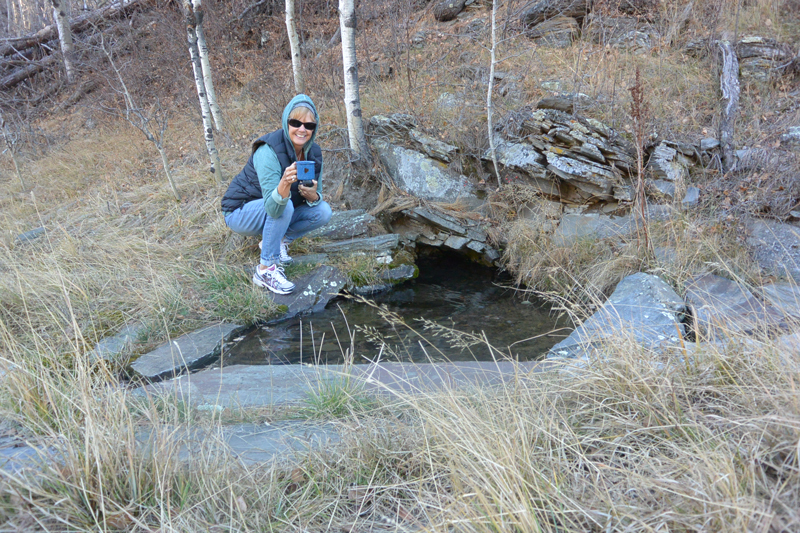 It is the perfect place to stay should you want to visit the Black Hills and the Mount Rushmore area. Its 17 acres are nestled between two ridges and it is a peaceful, majestic, incredible piece of paradise. 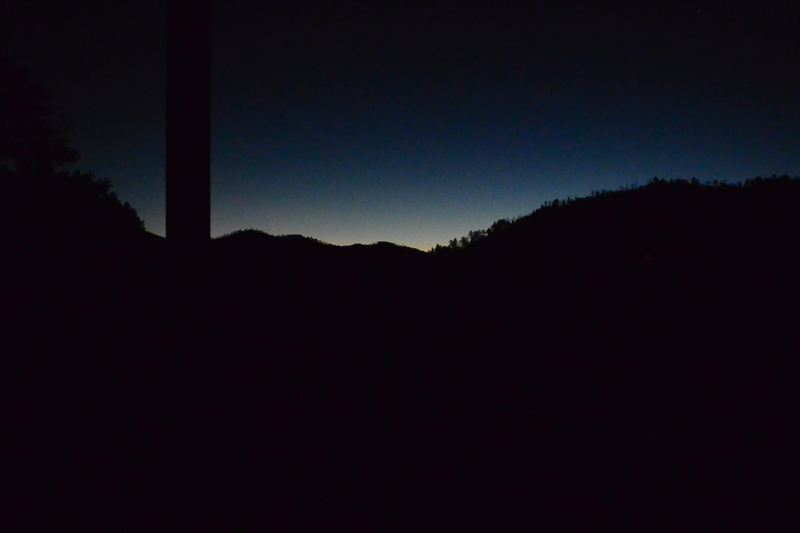 One of the many “moments” I’ve had since arriving is to watch the sun rise. Barb and I are staying in the Mountain View cabin, she is in one of the bedrooms upstairs while I am on the main floor bedroom. We’ve set up two long tables in the living room, facing each other as we write. She’s by the fireplace, facing the kitchen and road into the ranch. I face the pasture. My view, literally as I awaken each morning, is of a ridge lined with jet black Ponderosa pines poking upward against a pale yellow and sapphire blue sky. What a way to begin each day. Our first day here, I had a hard time settling down to write. I guess I just needed to relax and get that “city” out of my system. The weather has been spectacular, Sixties during the day, high 30s at night, with not a hint of snow anywhere. 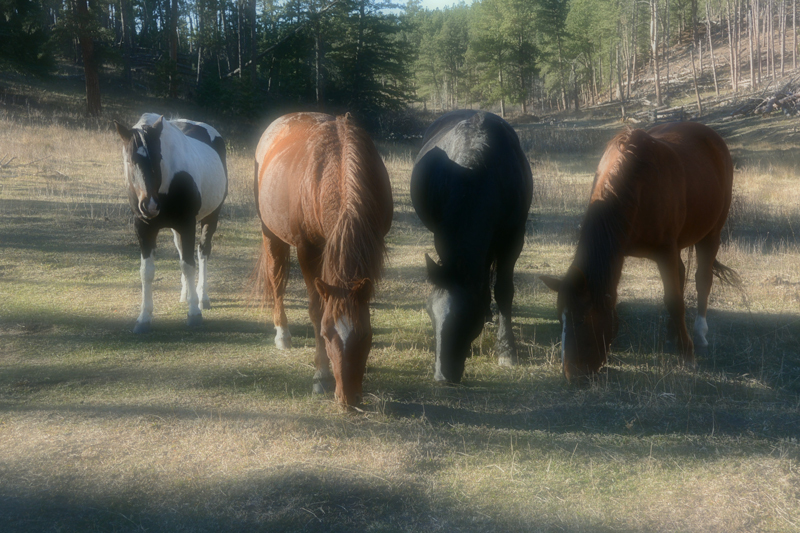 As I write each day, I’ll look up from my computer and see five horses within fifty feet of me. I love animals and usually have a dog or two by my side every day. But to be able to watch Barb’s horse, Dakota, and Ranger, Redstone, Cowboy, and Charlie walk to the creek or roll on their backs, or reach under the fence to grab the longer grass, is enough to make me know it will be hard to leave here. One late afternoon, Barbara asked if I wanted to join her to check on the other eleven horses in the back pasture. 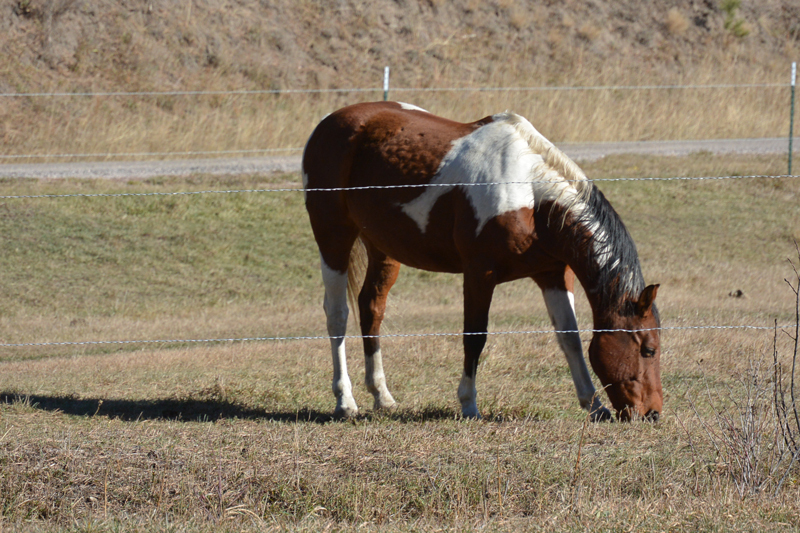 It’s something she does every day to make sure the horses are okay and haven’t gotten out of the fencing. 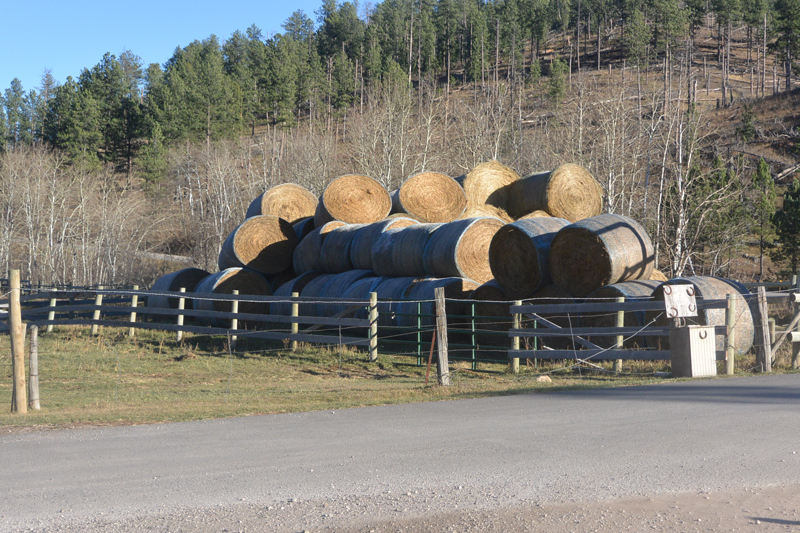 On the way, we passed some of the giant hay bales that will feed the horses and some hay bales that will be sold. What a treat. 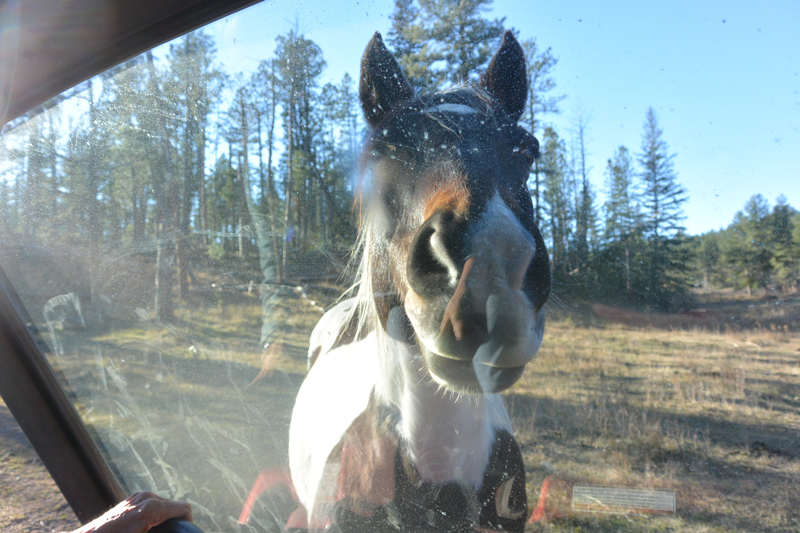 We jumped in her Polaris Ranger ATV with a package of carrots situated between us. On we went, startling five mule deer as we came around the bend. 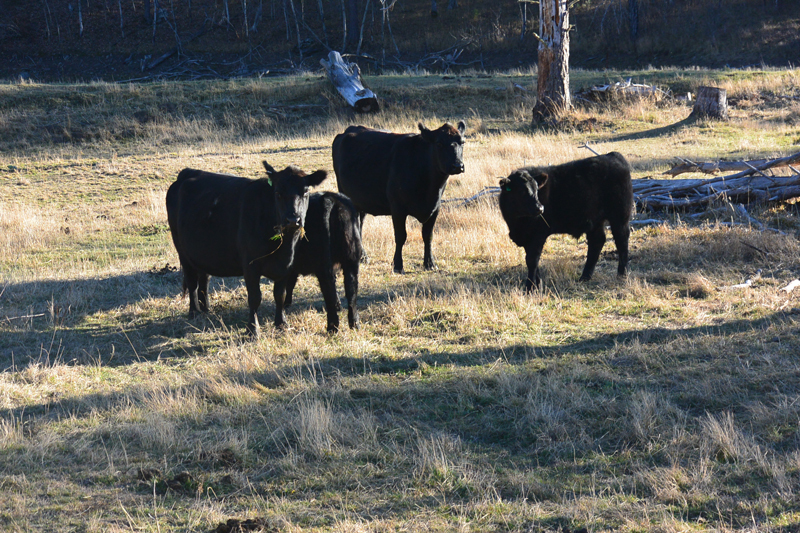 Some misbehaving Angus cows, which are owned by a rancher nearby and had somehow broken into the pasture, were grazing on their neighbor’s land. Barb radioed John to let him know he needed to give the rancher a call to collect them. The horses, all eleven of them, with names like Moonbeam, Star, Dualley, Lady, Sunny and Rose, when they heard Barb’s Ranger coming, stopped their grazing, knowing orange crunchy treats awaited them. 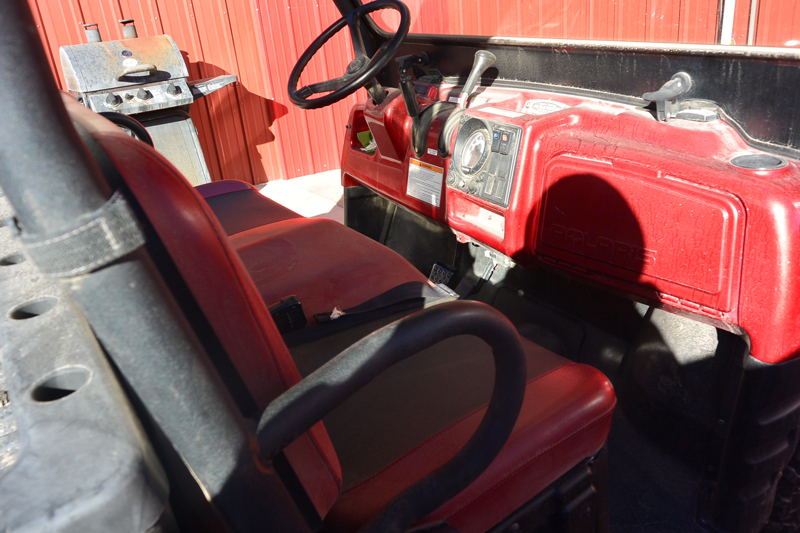 “Stay in the four-wheeler,” Barb said. “The horses will jostle one another to get to the carrots and I don’t want you to get hurt.” Good idea. 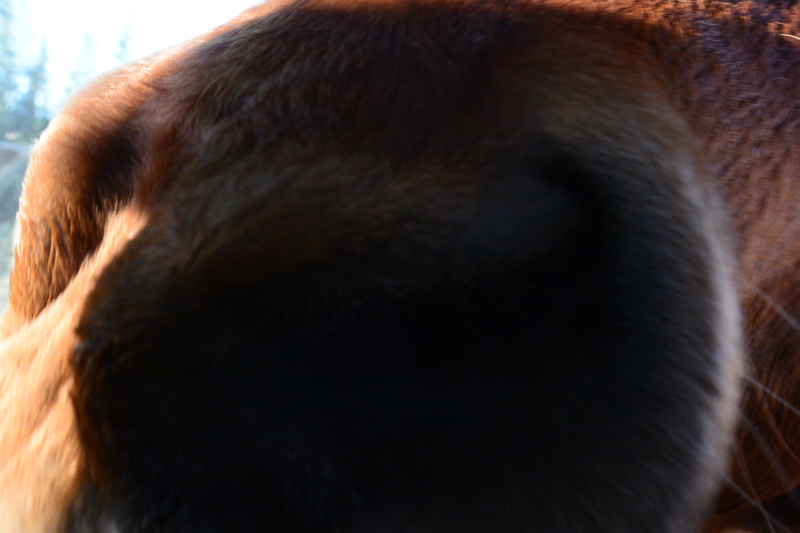 his nose against my camera, on my lap, sniffing at my sweatshirt, checking for more. I know one has to be careful with horses and that they can be unpredictable. But for those moments, they were giddy with delight in being given their afternoon treats. I am so grateful to Barb for giving a city girl like me this opportunity to learn about horses and to be on the receiving end of a treat right along with the horses. I’m glad you and Barbara are together having productive fun, and this is a fun read. Thank you, Delores. Hope your adventure to Mississippi will fill you up with inspired writing as well. Safe journeys.